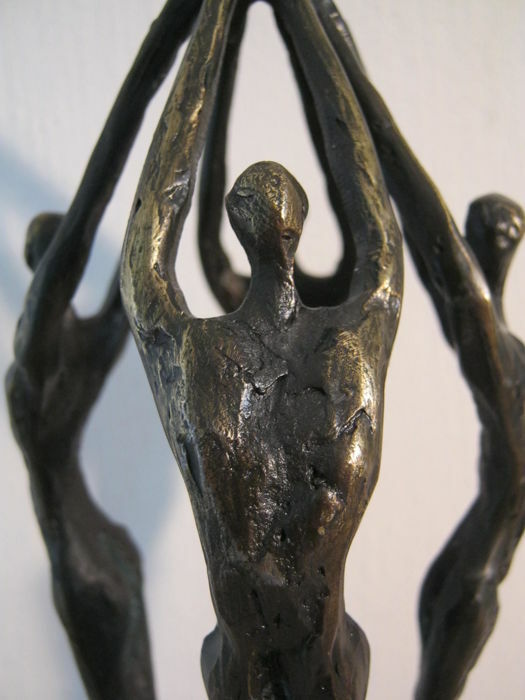 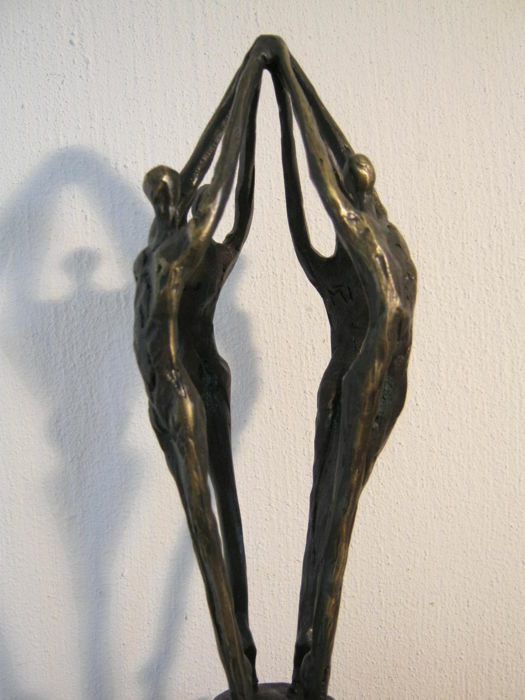 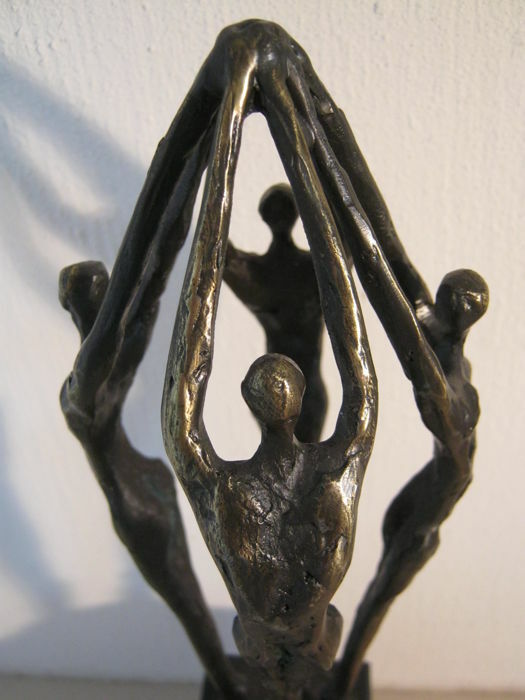 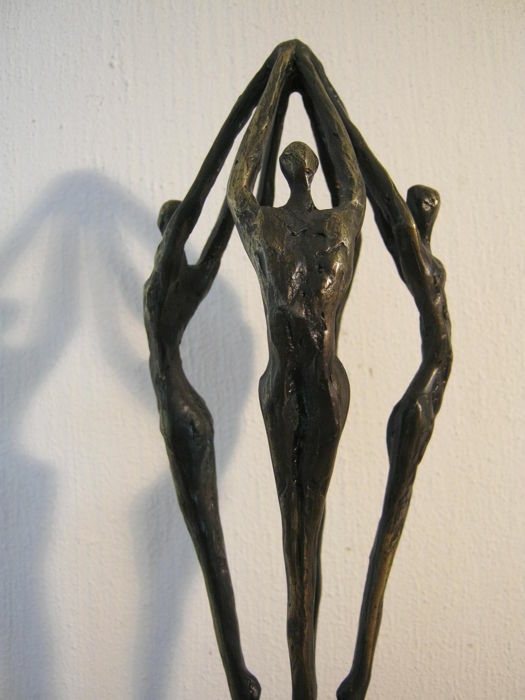 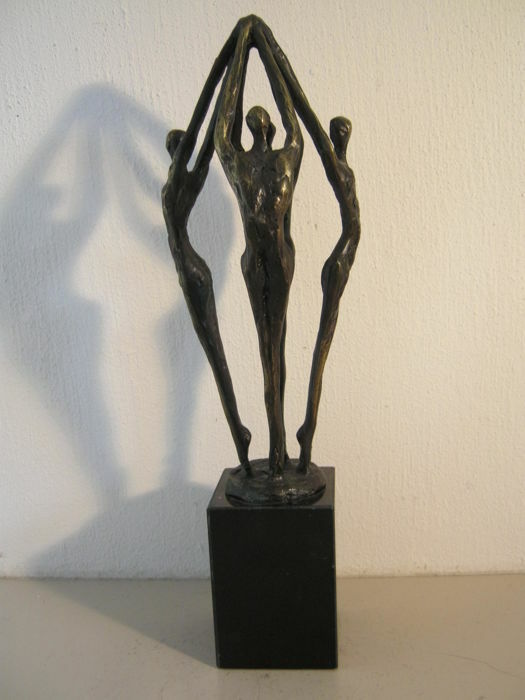 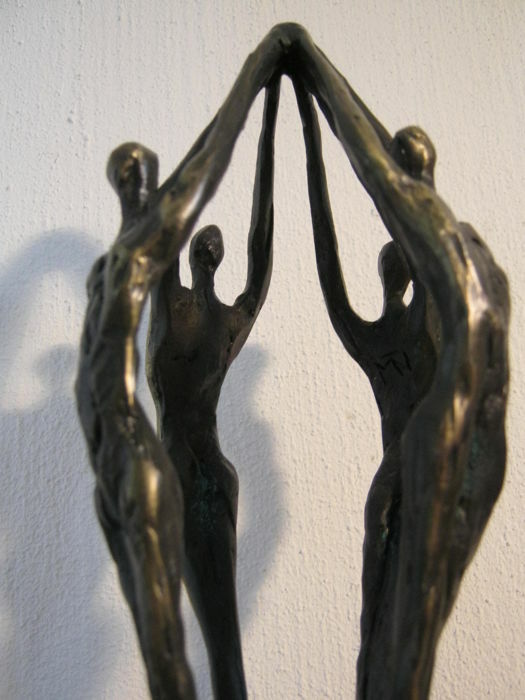 Bronze plated (metal alloy with a bronze layer) sculpture by Ger van Tankeren. 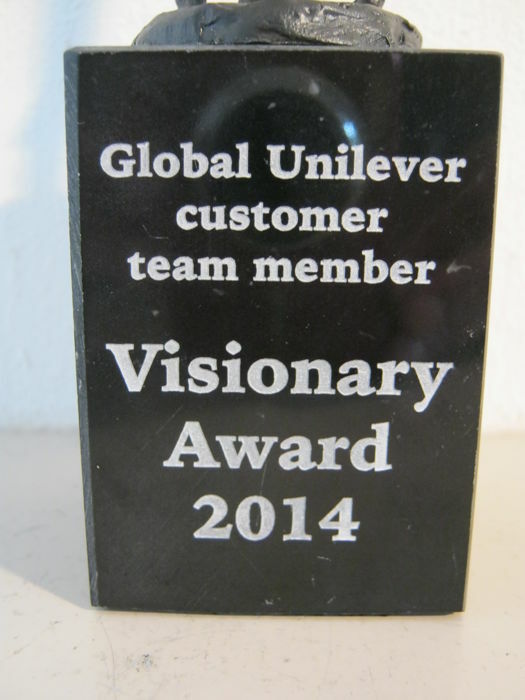 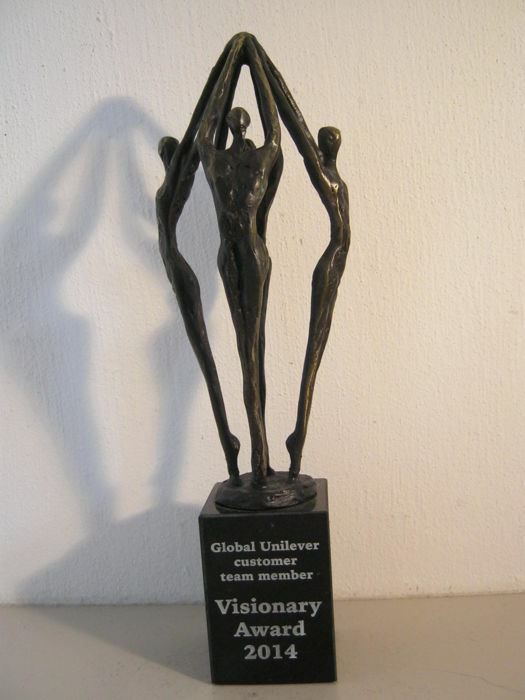 Made in commission, as Visionary Award 2014, for Unilever. 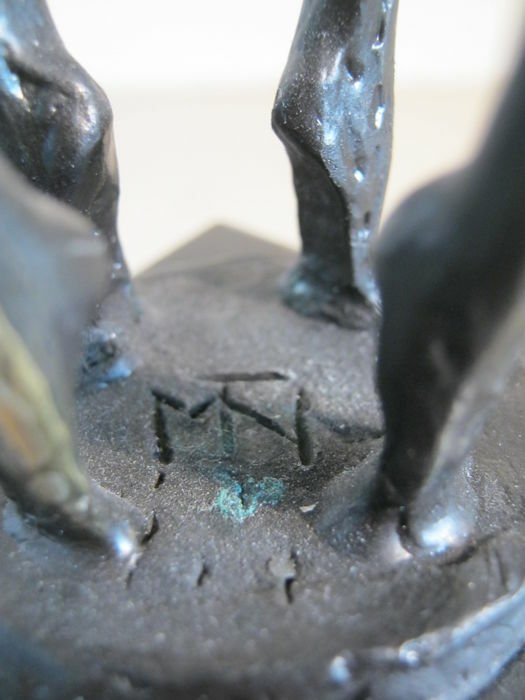 This information is engraved in the marble pedestal. 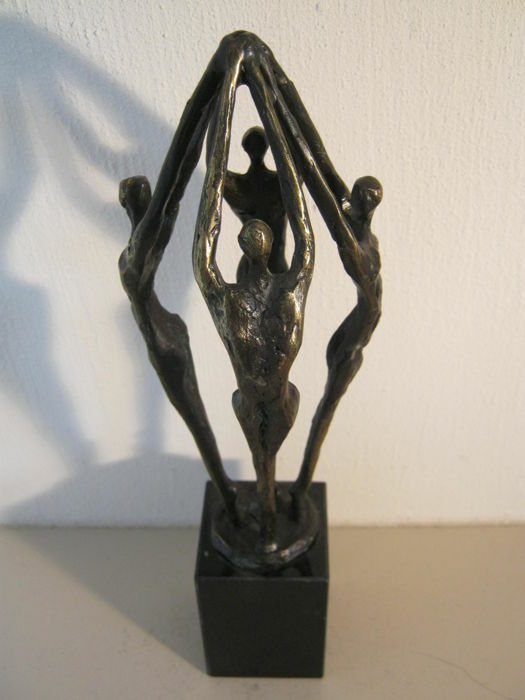 If preferred, the statue can be displayed in such a way that this is not visible. 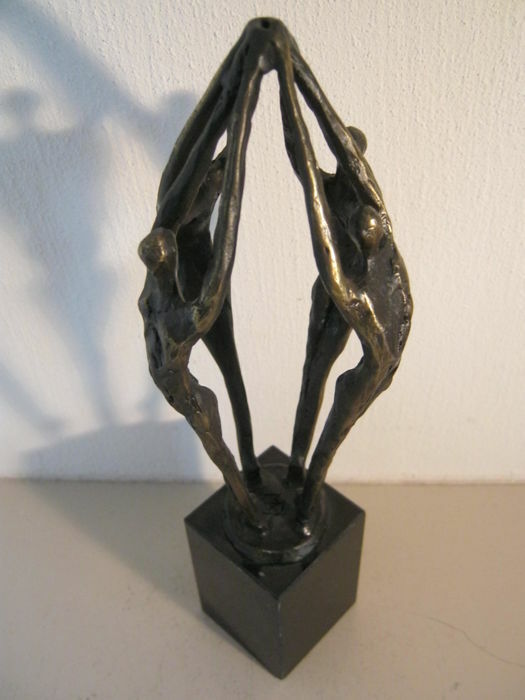 The entire piece is 26 cm high, in total. 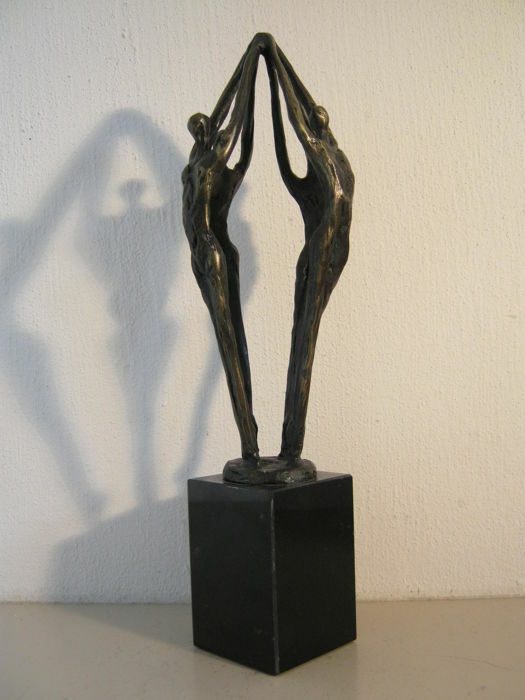 The sculpture is 8 cm wide and 8 cm deep. 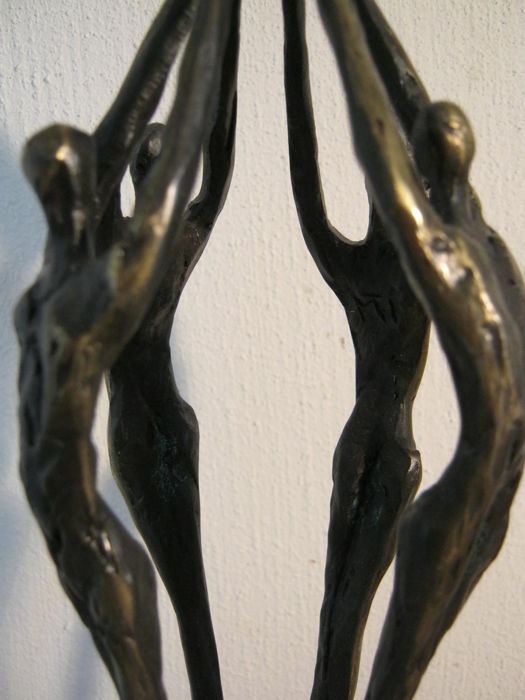 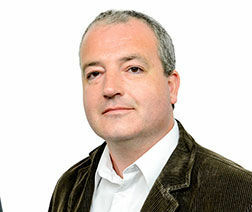 Because a signature is required upon delivery of the parcel, someone needs to be at present to accept the parcel.